Newly designed kitty corner with catnip toys, scratchers, healthy treats and a wide variety of food to satisfy even the pickiest cats ! Our feed is of the highest possible quality. There are no fillers, bi-products, drugs or hormones in our feeds. We only use oats, corn, steam rolled barely, yeast, probiotics, vitamins, minerals and other natural ingredients. 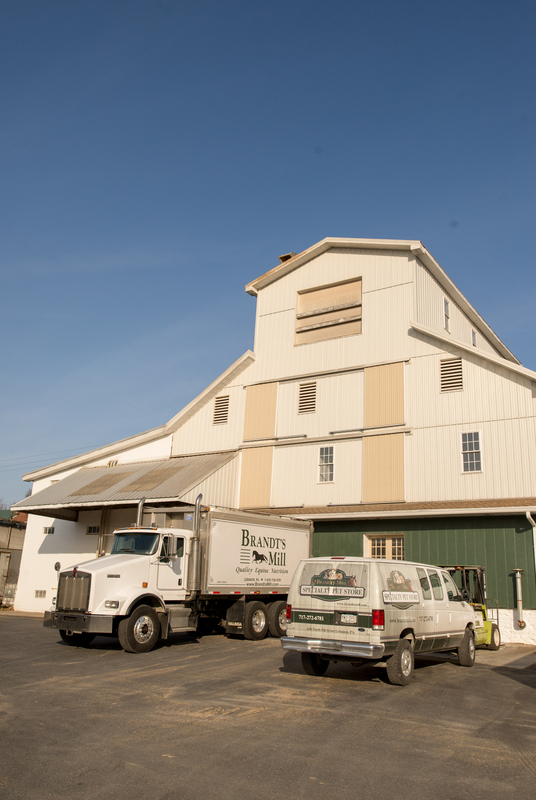 Brandt’s Mill horse feed is made exclusively at Brandt’s Mill. Not only are Brandt’s Mill equine feeds top quality, they also beat out many competitor’s prices. NEW PRODUCTS ! Annamaet & Essence dog and cat food ! NEW Fluff & Tuff toys!